With the Rondish Chair Sensor Mat for the Rise Alarm Kit this problem can be monitored and controlled. Positioned on the chair, the sensor sounds an alert when weight is removed. This alerts the carer to movement before the patient has the chance to wander off. The chair sensor mat measures 15" x 12". 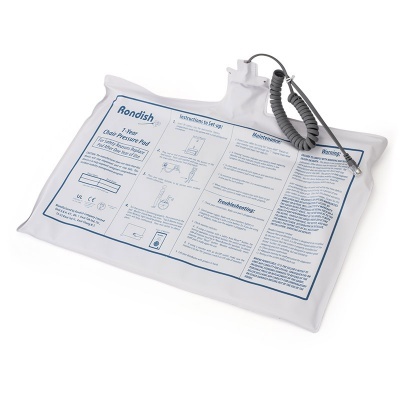 Normal strength disinfectants can be used to sterilise the sensor mat if required.